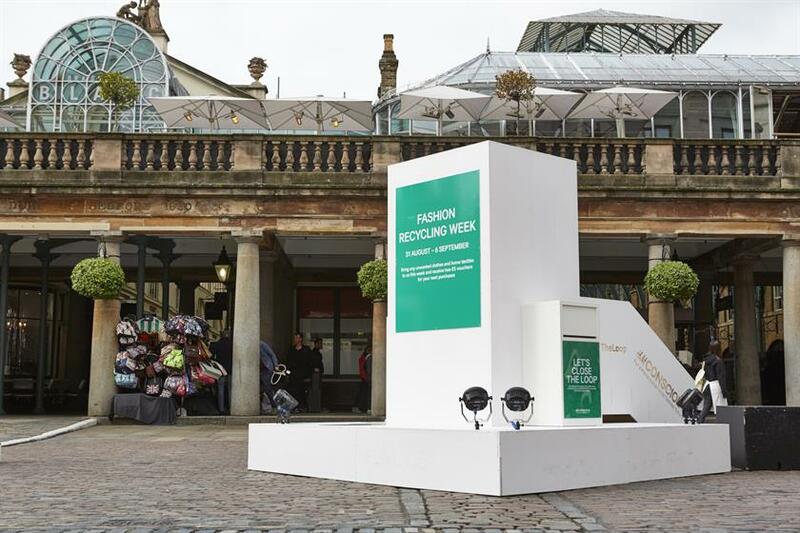 H&M planted a giant garment recycling box in Covent Garden to mark the first nationwide Fashion Recycling Week, which concluded on Sunday (6 September). Situated within the Covent Garden Piazza for two days from last Wednesday (2 September), the box invited members of the public to donate their unwanted items of clothing. Those who took part were promised two £5 vouchers, which can be put towards instore purchases of £25 or more. While the box has since been removed from the space, garment recycling boxes can be accessed at all H&M stores, where the same offer is available. H&M also teamed up London College of Fashion’s (LFC) Centre for Sustainable Fashion (CSF) as part of its activity throughout the week, where a handful of design students were challenged with creating window installations made of clothes donated through the retailer’s garment collecting drive. Second year students from the LCF’s Creative Direction course were tasked with interpreting eight UK cities including London, Manchester, Leeds and Edinburgh. Passers-by were encouraged to get active on social media to win in-store vouchers valued at £250. Those who Instagrammed their guess of the number of garments used in the window installations, and posted a picture of the window tagging @hm and the hashtag #CloseTheLoop were entered into a draw to win. 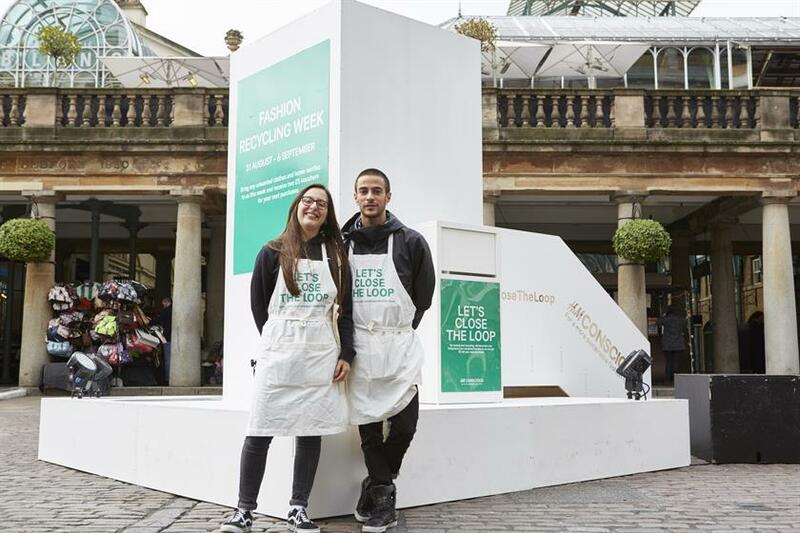 Catarina Midby, sustainability manager H&M UK & IE said: "We recycle no less than 97% of the clothes and textiles we collect into new products like clothes, insulation for cars and most importantly into new garments, closing the loop in fashion." Renée Cuoco, manager at the Centre for Sustainable Fashion added: "It has been an incredible opportunity for the students to explore sustainability from both a conceptual and industry perspective. "The students’ work showcases creative approaches in encouraging people to value their clothes as the precious resources they are." 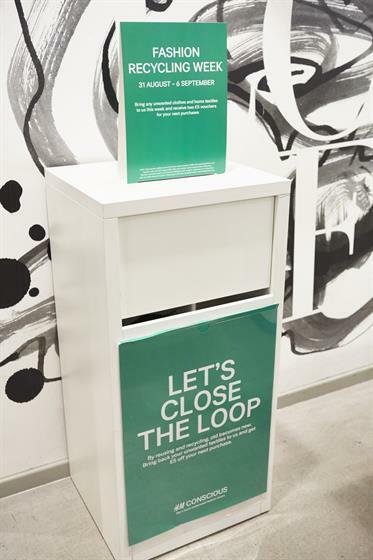 H&M’s garment collection initiative seeks to reduce waste in the fashion industry, with the aim of achieving a ‘closed loop’ system.